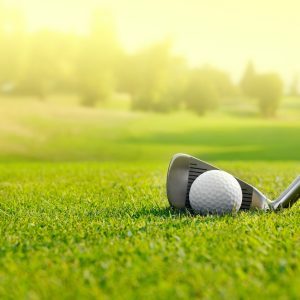 3 Characteristics of the Perfect Golf Green | Turf Etc. Practice makes perfect, so why not make it possible to practice anytime, anywhere? SYNLawn Kansas City provides synthetic turf golf putting greens to create your ideal practice space. To understand how you can improve your game, use these three characteristics of the perfect golf green to learn more about the ways SYNLawn Kansas City can help you achieve lower scores. Characteristic 1: It should resemble real grass. The grass must all be at the same, even level for all practice greens. A low greens height allows the ball to glide with ease because there is not as much friction between the ball and the grass. With SYNLawn Kansas City, every grass fiber imitates real grass and stays at the ideal, low height, without pesky maintenance. Characteristic 2: It must possess durability and longevity. Every golfer wants to be confident that their greens will provide durability through every putt. With our perfect practice greens, there is assured reliability about the product’s strength. Its longevity plays a large role in the overall quality of our golf greens. We maintain very strict quality control standards to ensure that your practice space will not fail you. SYNLawn continues to be one of the largest manufacturers and installers of artificial turf in the U.S. due, in large part, to our high-quality results. We bring excellence into your practice space so you can enjoy many years of putting practice without interruption. Characteristic 3: It must be crafted to perfection. Each practice space is unique and should be molded to cater to your individual needs to achieve top-notch practice greens. SYNLawn and world-renowned golf professional and researcher, Dave Pelz, teamed up to design a line of synthetic grass golf products that are state-of-the art. From SYNLawn Precision Putt Pro to SYNLawn Classic Pitch golf greens, all are made to meet your needs. Each installation is crafted to perfection, so you receive the perfect golf green practice space. A golfer is only as good has his tools – and the green he plays on. Remember the importance of these three characteristics to successfully create your dream practice space. From indoor putting greens to portable mats, Kansas Artificial Grass provides the perfect golf greens for the best practice! Ready to create your own private practice space? Let’s dream up and create your personalized Kansas City putting greens!